Offense prevails: I-back Imani Cross rushed for 100 yards on just six carries as the Red team won the annual Red-White spring game, 55-46. The Red team was all offensive players and the White team was all defense. A modified scoring system awarded points for both offensive and defensive plays. Quarterbacks Johnny Stanton and Ryker Fyfe continued their battle for the No. 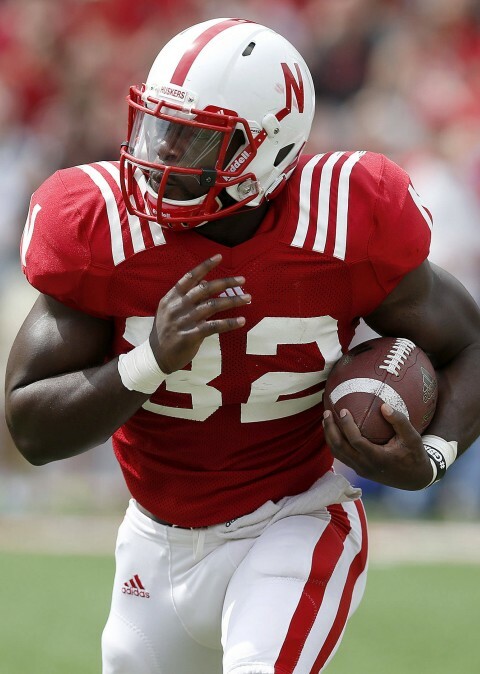 2 spot behind Tommy Armstrong as the duo combined to go 17-of-24 for 224 yards and three TDs. • Where did Bo Pelini find a cat for the spring game? Imani Cross rushed for 100 yards on six carries. Does the fun Bo encourage more playmaking and fewer mistakes? I say it can’t hurt. Gerry has a nose for the ball and plays like a wild animal. Football played second fiddle to some of the fun going on between the plays. As suspected, this stable of I-backs might rate as Nebraska’s best in many years. You saw quality entertainment and quality football, for the most part. Kudos to Pelini and the athletic department for doing some things to jazz this one up. The highlight of the day happened before the game started. Imani Cross lives in All-American Ameer Abdullah’s shadow most of the time, but that was not the case Saturday. [The cat stunt] may not soothe old, still festering wounds, but it does eliminate old, tired talking points.